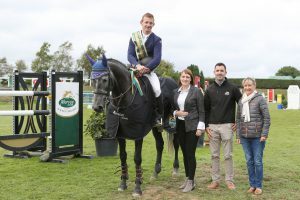 The Mervue Equine Leinster Tour also came to an exciting conclusion at the Irish Breeders Classic with riders battling it out to add valuable points to their tally, as points and a half were on offer. 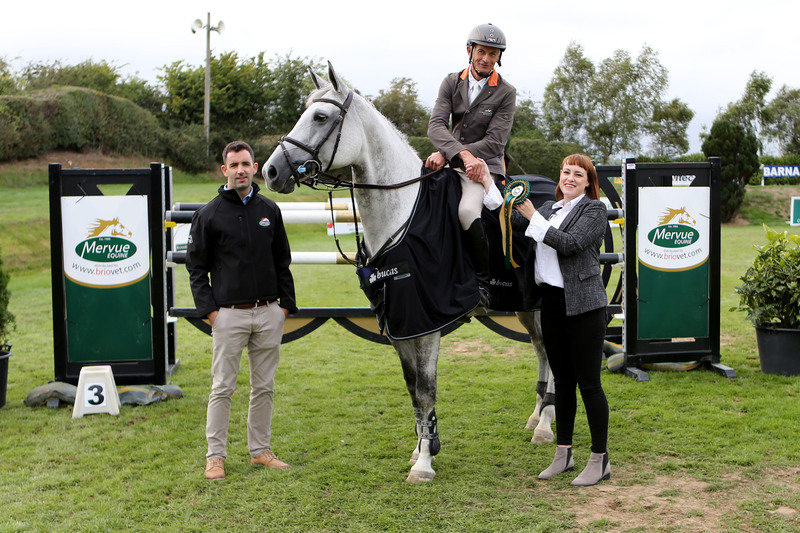 First up, the 1.35m division saw 82 combinations going to post Leading the victory lap was Francis Connors, when he lodged the winning round with Capitol Cruise in 39.94. Kenneth Graham and George put in a gallant attempt, but a 41.13, proved good enough for second place, ahead of Ailish Connolly and Eletta Molino, clear in 42.41. Neal Fearon also delivered a clear with Ardragh Cool touch, albeit in a slower time of 44.65 for eventual fourth. Captain Geoff Curran’s clear with MHS Gab in 46.10, proved good enough for fifth, while young rider, Anna Carway came home with nothing to add with Claricella, in 48.08 for sixth. 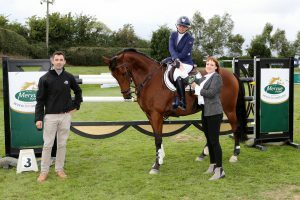 This result meant that Carway picked up the leading young rider prize of the round. Victory in the 1.20m division went to Jason Foley and FS Cleveland, when they delivered a double clear in 25.48 second. 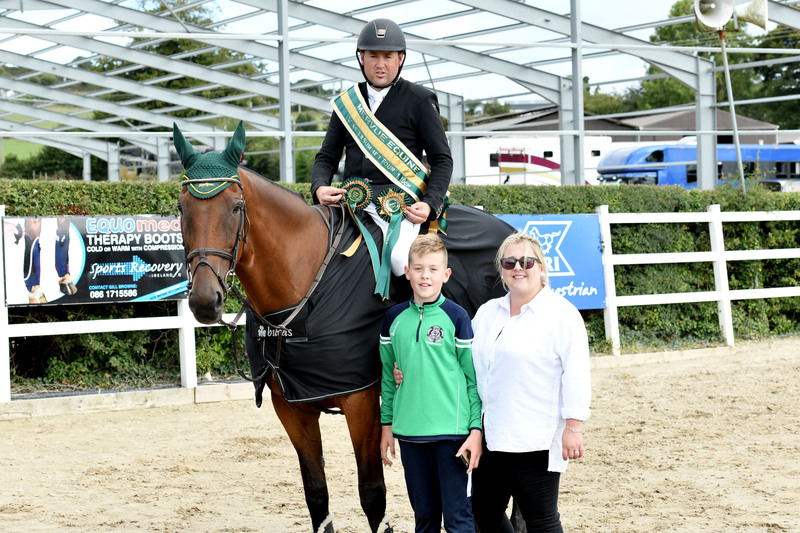 Junior rider, Ciaran Nallon, as he took the runner-up spot with Bally Fair Deal, when clear 27.69, while Eddie Moloney was less fractions behind with Tonagh Trip the Lights, clear in 28.33 for third. 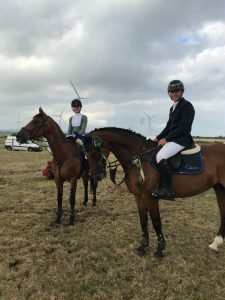 Madeline Roberts Allen and MP Star Lite also kept the poles in place in 30.76, for fourth place, ahead of Daniel Mc Alinden also kept the poles in place aboard Alan Briscoe’ Leanorth Soda Pop, in 31.25. Sixth place belonged to Jamie Landers, when crossing the line with Moira Forbes Valtor De Blagny, in 31.26. Winner of the pro am title was Andrew Byrne. 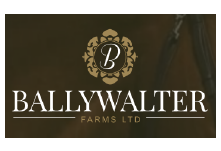 Winner of the over all Small Tour 1.20 was Young Rider Gavin Smith on Mullinroe. We wish to thank Mervue Equine, Leinster Committee of Showjumping, Bertram Allan, Ian Fearon, Emer Birmingham, Laurence Dunne, riders who followed the Tour, The Irish Field, Farmers Journal, Our wonderful show committees and their sponsors, for their support in running the Mervue Equine Leinster Summer 1.35, 1.20 & 1.10 Tours this season. Leading Young Rider(Horse/Rider Combination) – Hamper of Mervue Equine Products and a weeks training with our International Athlete, Bertram Allen of Ballywater’s Farm. 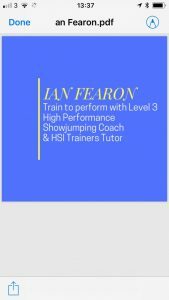 Leading Pro am Rider(Horse/Rider combination) – Hamper of Mervue Equine Products and Training with HSI High Performance Coach, Ian Fearin. 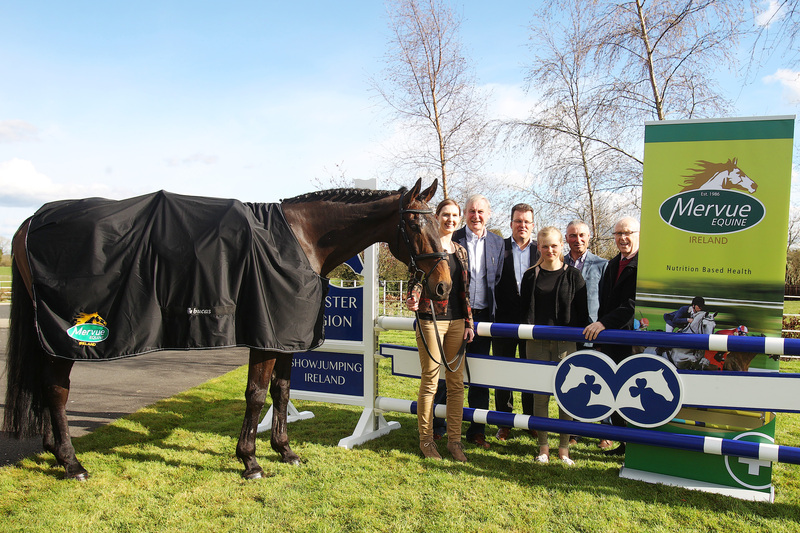 Runner up – €250 + Mervue Equine Products. Winner of 1.20cm Small Tour – (Horse/rider combination) €1000 + Mervue Equine Products. Wishing everyone good luck in the Final and leg. Only 8 shows (see rules)will count for the total and points and a half are on offer for the last leg at Barnadown IBC. Laura and Nicolas Connors prize winners in the Mervue Equine Leinster Summer Tour 1.35) at Bannow Rathangan. Entry fee not more than 45 euro per entry. 10 euro deposit per entry non-refundable. 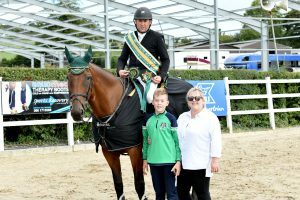 Points for Young Rider and Pro am – SJI Points class points or 1 point for Top place on day. Both sections are eligible for prize money as per SJI rules. Riders may ride 4 horses in each leg. Ground Jury & Course Designer as per National Grand Prix. Top 8 legs will count for points. At Final Leg –Points and a half on offer for the last leg of the Tour. 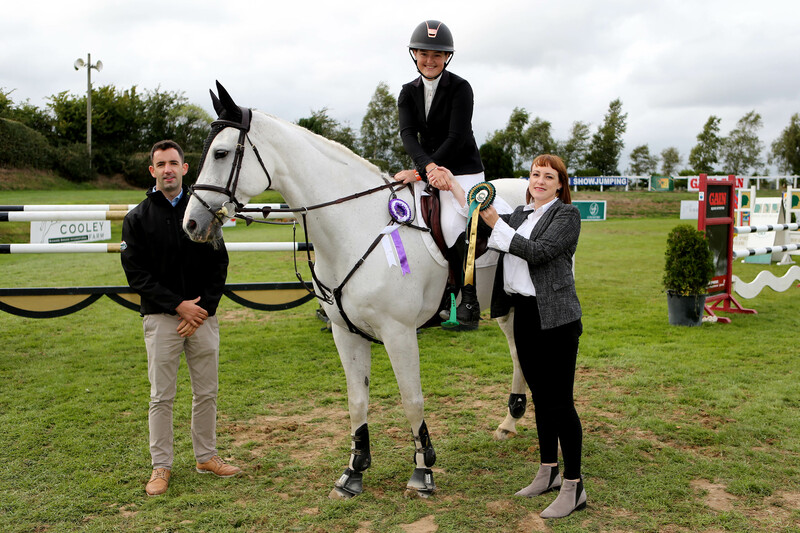 NB Special rules for Flavour of Fingal Show – Pre-entry for all classes at this show. No late entry. 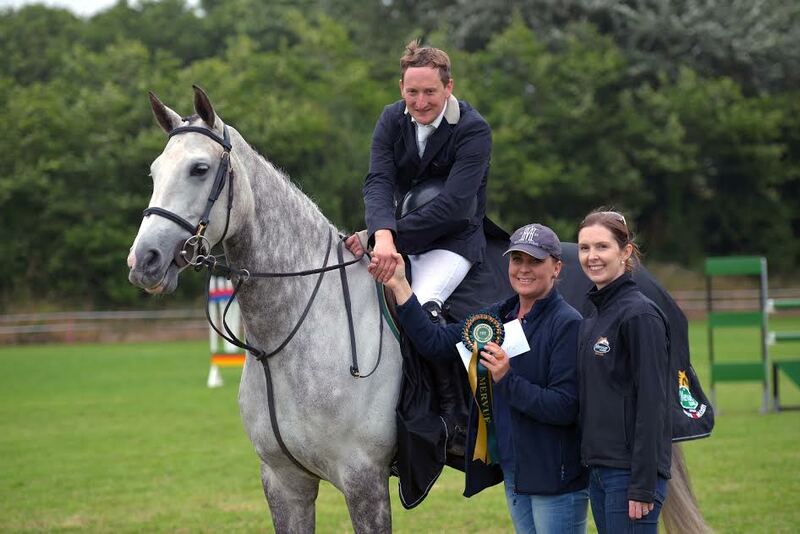 Rosettes to 1st – 8th, Best Turned Out, Top Pro-am, Top Young Rider. Points awarded to horse/rider combination in YR & Pro-am. Presentation to the winners of the Big Tour (1.35) by Mervue Equine & the Leinster Region of Showjumping. 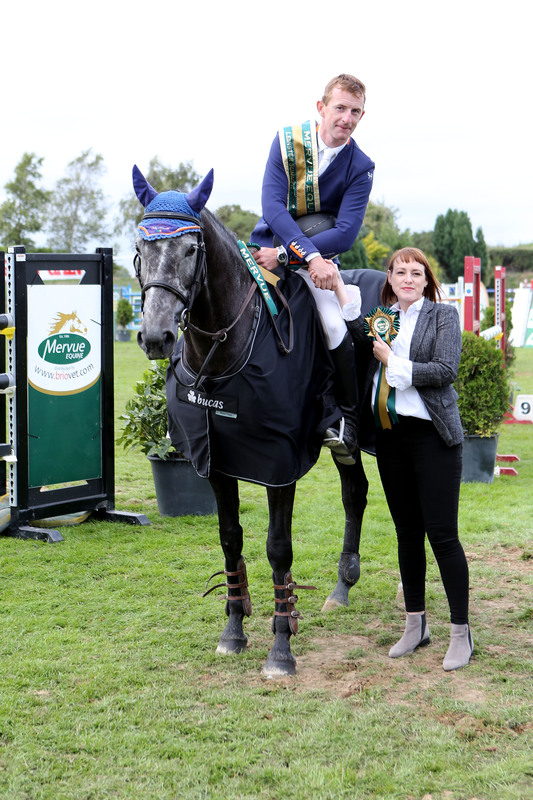 Winning Rider of Tour-€2000 Rug, Sash & Mervue Equine Products. 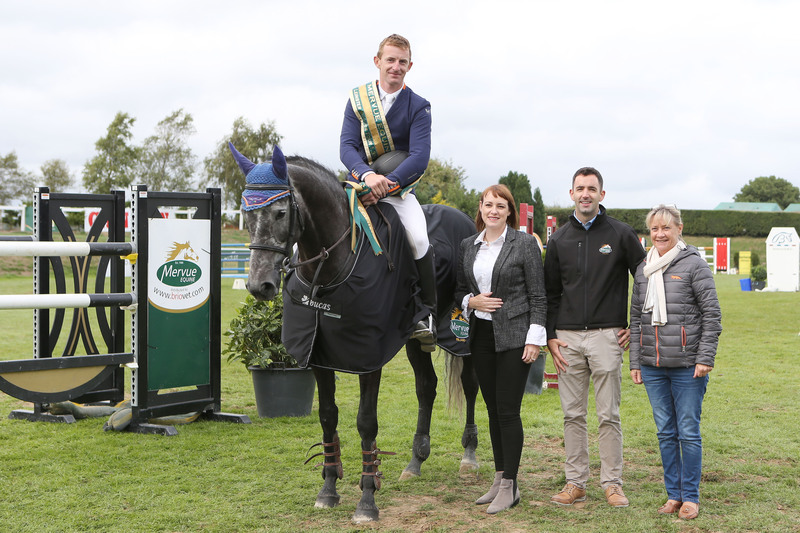 Winner of Young Riders will be rewarded with a Bertram Allen Bursary. 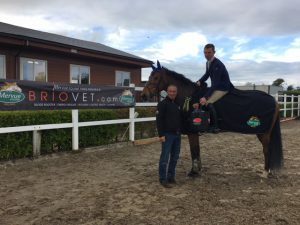 A weeks training with International Rider, Bertram Allen at his home in Germany(no Horse). Flight & Accommodation included. Rug, Rosette &Sash. “YR” must be written on ticket if not marked by SJI office. Top 8 leg of the Tour will count for points with each combination. Ground Jury must have 1 national judge on the team and National Course Designer. Pro-am/Young Rider Section – rider will receive 1 point for being placed top of Pro-am /yr section at each leg. If, placed in class, SJI points will be allotted for top 6 places. Double clear 1 points. They are eligible for prize money in the class. Points and a half for final leg. Rosette to winner of class, Top Young Rider & Top Pro-am. 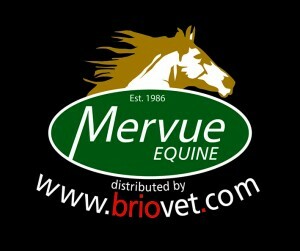 Mervue Equine Products for the winner. 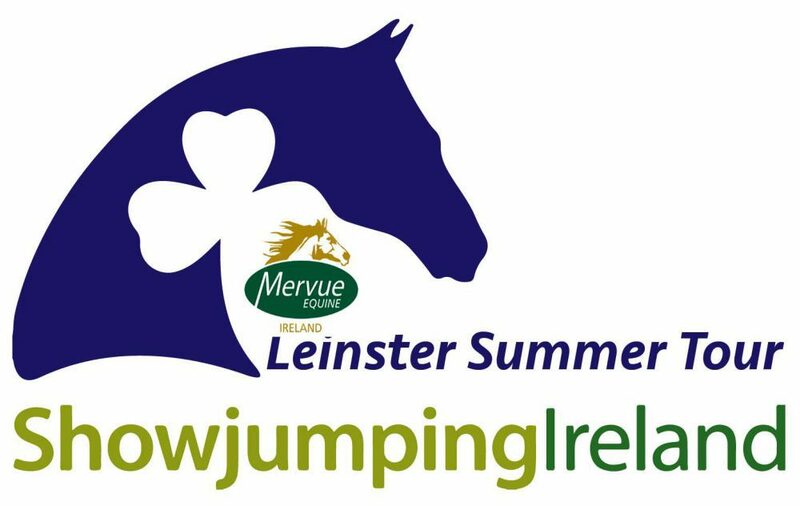 Winning Combination (Horse/Rider) will receive €1000 + products from Mervue Equine, Rosette, Sash & Rug. Combination must be available for presentation and photo with sponsor. 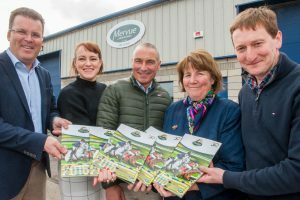 Runner up will receive €500 + products from Mervue Equine, Rosette. Winning Combination (Horse/Rider) will receive €500 & products from Mervue Equine, Sashe, Rug for winner. 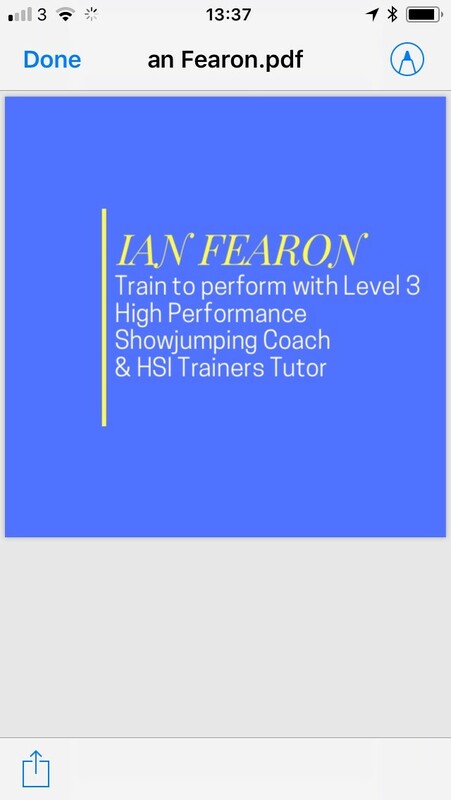 Combination must be available for presentation and photo with sponsor. 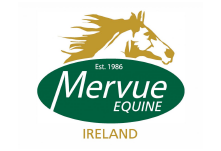 Runner up will receive €250 + products from Mervue Equine, Rosette. Pro-Am rider must be in full time employment outside “Showjumping”. Also, they must mark on their ticket “ Pro Am” and declare to [email protected] that they wish to be included in this section.